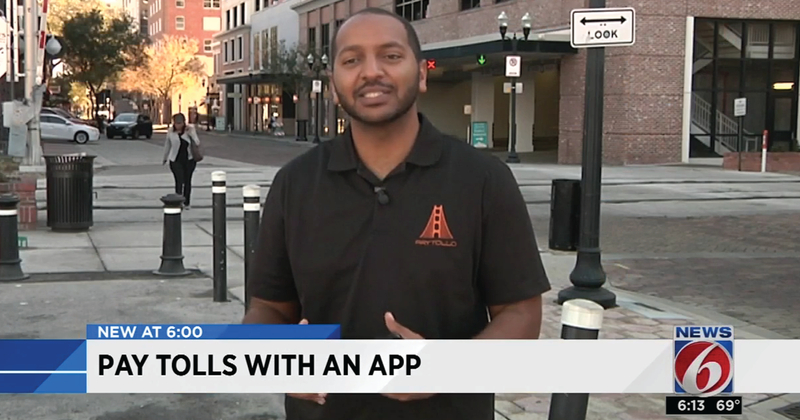 New app lets Florida drivers pay tolls with cellphone. If you're planning a trip to Florida and don't want to buy a transponder for your car, you can always download PayTollo. It's a new app that lets users pay for tolls after they get to their destination. "Our unique piece that we bring to this is a GPS-based tolling, so in real time after you cross a toll we generate a transaction and we have our new PayTollo now feature where a user can go in and confirm those toll crossings," said Abenezer Yahalshet, who helped create the app. He said PayTollo is now available for both iPhones and Androids, and is very easy to use. All users have to do is register their vehicle and pick one of two payment methods. "We have an auto replenish and a pay-as-you-go model. Auto replenish, you load up $20 and we deduct from that and once you hit a $5 threshold, we boost you back to $20," he explained. "The pay-as-you-go model is more for the infrequent user, they don't want to put money on the account, so as the tolls come in, we just charge them for that." Drivers News 6 spoke to said it's nice to know they have another option for paying tolls. "I would probably download that rather than going and buying a transponder for 10 bucks and then setting up an account with Sunpass. If I could just manage it and do it all on my phone, it'd be much better," Joey Fernandez said.